This year's concert was part of a larger endeavor, Water-culture: women's work(s), which is an international project aimed at raising water-crisis awareness by connecting women artists to global audiences through artistic collaborations read more about the project here. Highlights of this year's festival performance! Ithaca cello maverick Lizzy Simkin performed the Bartok Rhapsody no. 1 for violin and orchestra on the cello. Special Event! 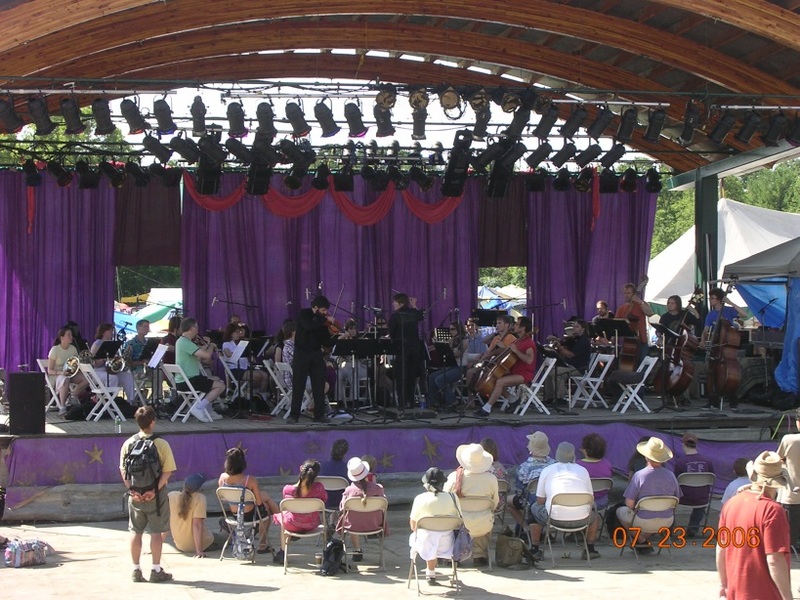 Premiere performance of Judy Hyman's orchestration of Jeb Puryear's Mystic Water arranged specifically for the 2012 GrassRoots Festival Orchestra.